Lifeline Bracket for 10mm steelwire. Easy Tree or pole mounting of the lifeline. 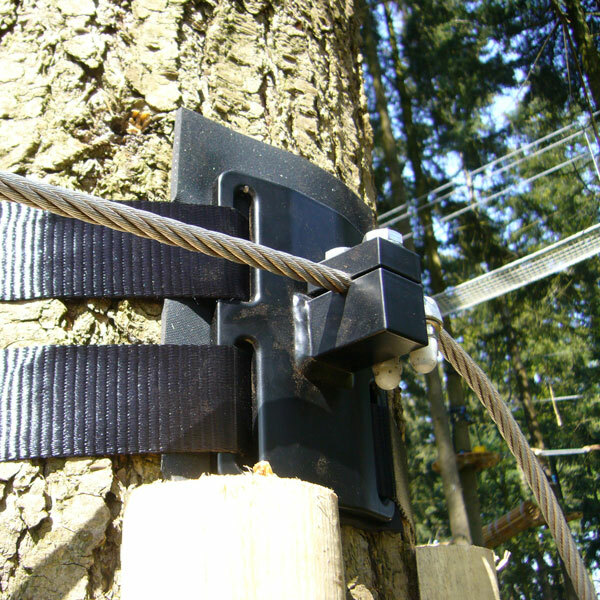 One of the "green" technical solutions developed by Skywalker is our "tree-friendly" lifeline anchor device (tree mounting / tree strapping system) for forest high wire ropes courses which has been adopted by climbing park designers all over Europe. 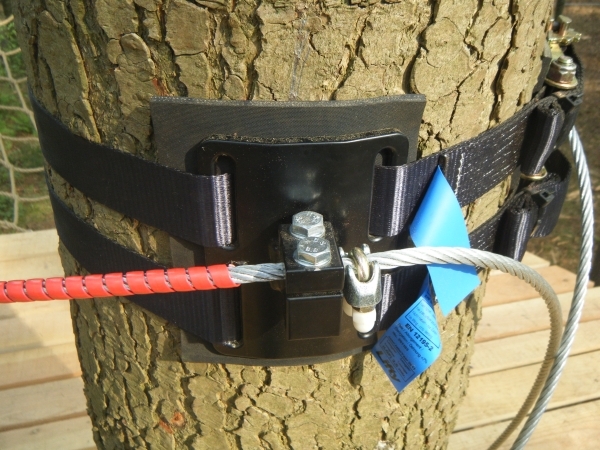 This eco-friendly lifeline anchoring device is based on a set of specially designed brackets which, unlike conventional methods using multi-layer steel cable coils, can be continuously adjusted to the ongoing growth pattern of any tree that is part of the course supporting structure.